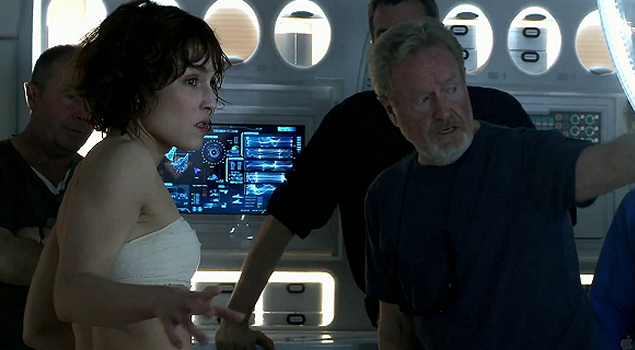 A first featurette video about the making of “Prometheus” has been released. While the clip is rather brief, lots of new scenes and shots from the set are featured, including a new interview with Noomi. The featurette can be watched in the video archive – HD screencaptures have been added to the gallery.